From the often Caldecott-buzzed Deborah Freedman, a sweet and funny story about finding your place in the world. Carl is an earthworm. He spends his days happily tunneling in the soil until a field mouse asks him a simple question that stops him short: "Why?" Carl's quest takes him on an adventure to meet all the animals of the forest, each of whom seems to know exactly what they were put on this earth to do, unlike the curious Carl. But it's not until the world around him has changed that Carl begins to realize everyone, no matter how small, makes a big difference just by being themselves. From the author of the #1 New York Times bestseller She Persisted comes a beautiful book about the animals who share our planet--and what we can do to help them survive. Did you know that blue whales are the largest animals in the world? Or that sea otters wash their paws after every meal? The world is filled with millions of animal species, and all of them are unique and special. Many are on the path to extinction. In this book, Chelsea Clinton introduces young readers to a selection of endangered animals, sharing what makes them special, and also what threatens them. Taking readers through the course of a day, Don't Let Them Disappear talks about rhinos, tigers, whales, pandas and more, and provides helpful tips on what we all can do to help prevent these animals from disappearing from our world entirely. With warm and engaging art by Gianna Marino, this book is the perfect read for animal-lovers and anyone who cares about our planet. Step into the garden and learn your ABC's with this colorful feast for the eyes! From asters and daises to roses and sunflowers, An ABC of Flowers is a colorful burst from the garden that will have little hands eager to grab. Filled with gorgeous photo illustrations, bold colors, and clever line art featuring a miniature-sized girl named Amelie, toddlers will laugh and be mezmerized by the book's vibrant pages. Perfect for the youngest readers learning their ABC's! One little girl has a very special friend, the tall ancient tree in her backyard. Through the seasons, she grows along with the tree, playing in its branches and basking in its shade. She can swing and have a picnic, draw the tree and play hide and go seek. Through her time with her tree, the girl learns to appreciate the natural world as something to be savored and protected and acknowledges her place within it. The Growing Hearts series celebrates the milestones of a toddler’s emotional development, from conquering fears and expressing feelings to welcoming a new sibling. Snuggle with Mom for this sweet book about a mother as seen through her son's eyes. To him, she is a surgeon when she repairs his favorite stuffed animal, a weightlifter when lugging in groceries, and a monster truck diver when driving him. But no matter what happens, she is always his mama, and that's the most important thing of all! A dream comes true for a girl who loves tutus, pointe shoes, and dancing on tiptoe! The girl in this story loves to stretch, to pose, to point her toes, to swirl and twirl and leap! She practices new steps every day. All her efforts are rewarded when one special day, she gets to dance in a performance with her favorite ballerina. "Dear Ballerina," the girl writes, "I dream of being a dancer just like you." The pictures in the book take the reader behind the scenes of the ballet to a practice room, a costume room, and the wings of the stage. At last, the curtain goes up, and the girl and her idol dance. Their tutus swirl together! "Dancing makes me happy!" the little ballerina says. A touching story about dance, passion, effort, and intergenerational mentorship. The five ballet positions are illustrated, and behind-the-scene secrets are revealed. Back matter provides interesting information about point shoes, tutus, and the contents of a ballet bag. The author-illustrator is the mother of a little girl who has grown up to be a professional ballerina with New York City Ballet. This book was inspired by letters Lydia Wellington wrote to dancers she admired, as well as letters she has received from young fans. Every detail in this book is filled with joy and love and is authentic and accurate. A glittery cover makes Dear Ballerina a perfect gift for ballet recitals. A great choice for fans of Angelina Ballerina. Bigger than a digger...hungrier than a dinosaur...it's a DIGGERSAUR! This rhyming mash-up of dinosaurs and trucks will delight dino fanatics and construction fans alike. A dozen dinotrucks crunch, scrape, chomp, and rumble through this book as they work on roads and construction sites. 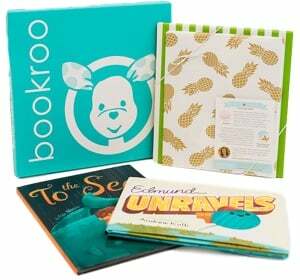 Little dinosaur fans will love the inventive names--SCOOPERSAURUS! DUMPERSAURUS!--and rip-roaring sound effects as they count each new Jurassic giant, up to twelve. Whether they are building or demolishing, these helpful Diggersaurs are the coolest things in town!